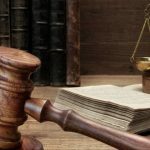 As Atlanta business attorneys, we can tell you that Georgia’s Fair Business Practices Act, which has been in effect since 1975, was designed to protect consumers from unfair or unscrupulous practices in the marketplace. The statute applies to consumer transactions involving the sale, lease, or rental of goods, services, or property intended primarily for personal, family, or household purposes. 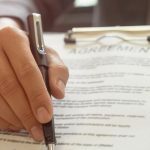 The Fair Business Practices Act can be a quite useful tool for Georgia consumers who are seeking satisfaction from the courts in cases where the provider of a good or service is engaging in a business practice that is counter to the public interest. HOW IS THE FAIR BUSINESS PRACTICES ACT ENFORCED? However, the Fair Business Practices Act is just one of several statutes that can be used by a Georgia business attorney to pursue businesses on behalf of clients. The Governor’s Office of Consumer Protection (OCP) is the entity that enforces the Fair Business Practices Act in Georgia. In order for a consumer’s complaint to qualify under the Fair Business Practices Act, the consumer (called “the plaintiff” in a lawsuit) must show that a defendant’s actions have a negative impact on the entire marketplace in general and not solely on the plaintiff. In other words, the injury suffered cannot only apply to the plaintiff; it must at least potentially cause harm to others. WHAT IS THE EXCLUSIVE PURPOSE OF THE FAIR BUSINESS PRACTICES ACT? In addition, because the Fair Business Practices Act is designed exclusively to protect Georgia’s consumers, businesses in this state cannot use it against their competitors, even if a business legitimately identifies a competitor’s practice that is harmful to the market. It is also important to understand that there is a two-year statute of limitations attached to claims under the Fair Business Practices Act. 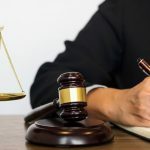 Georgia business owners and their attorneys should be aware of these limitations when they attempt to sue under the Fair Business Practices Act. WHAT ACTS ARE ILLEGAL UNDER THE FAIR BUSINESS PRACTICES ACT? What follows is a list of some of the practices that the Governor’s Office of Consumer Protection has identified as unlawful activities under the state’s Fair Business Practices Act. WHAT DOES IT TAKE TO WIN A FAIR BUSINESS PRACTICES ACT CASE? When seeking damages for these claims, a Georgia business attorney does not have to demonstrate that the defendant consciously or maliciously intended to defraud consumers; the attorney simply needs to show that the practice violated the Fair Business Practices Act.